That sly old fox Jon Kaase carved another notch on his Engine Masters Challenge gun belt with another well fought win at the 2013 Amsoil Engine Masters Challenge. 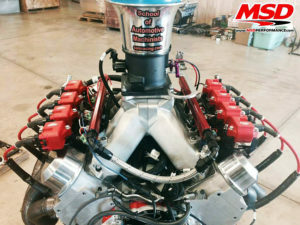 The Engine Masters Challenge facebook page reports that Kaase rolled in with a 409ci Ford Mod Motor ready to do battle with the usual complement of Chevy LS engines and the standard variety of popular small- and big block Chevys, Buick, Pontiac, Ford, big block Mopar, Gen III Hemi and AMC plus a few more Mod Motor Fords. Anyone who didn't see this coming wasn't paying attention to the superior overall efficiency of 4-valve engines. In the end the Mod motors reigned supreme snaring the top three places with scores that easily outdistanced the trailing 2-valve contingent. We can debate the parity elements of 2-valve versus 4-valve motors until the cows come home but the fact remains that everyone agreed to compete and the Mod Motors were clearly superior under the prevailing rules. In his usual fashion Kaase set the troops buzzing by unloading a formidable looking piece equipped with a spectacular set of headers with twin primaries exiting each cylinder to form unique if not outrageous looking 4-8-4-2-1 configuration. The logic is clearly evident in his attempt to maintain individual port velocity from each valve with smaller individual primaries that merge into the subsequent -4-2-1collector arrangement. Talk about your wave tuning. You can bet your flange plates that Kaase has calculated the ideal lengths and cross sections to complement the power range of the competition in a well thought out effort to broaden the entire power curve. It clearly worked as Kaase scored a comeback victory over the number one qualifier Accufab who also fielded a Ford Mod Motor. According to the Engine Masters Challenge facebook page, MSD and other facebook sources, Kaase's final score of 2961.7 points (721 HP, 675 lb-ft) rose considerably from his qualifying score and his broader average torque curve told the tale. 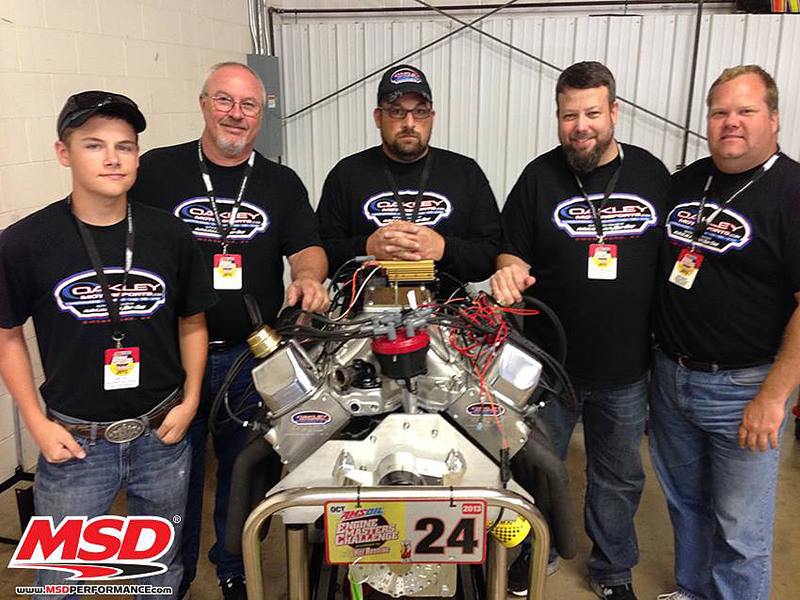 Lead qualifier Accufab's power and torque readings nearly mirrored their qualifying score (2938.5 points) with 734 HP and 661 lb-ft torque for a great repeat performance with 2931 points. But Kaase's tuning in the eliminations added more than 45 points to overtake Accufab's opening effort. 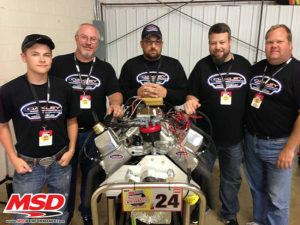 A third Mod Motor entry from former Challenge winner Tony Bischoff's BES Racing delivered the highest horsepower of the Mod Motors with 775 HP and 632 lb-ft of torque to secure third place with 2867 points. The Mod Motors scored a clean sweep with dominant performances from all three competitors. 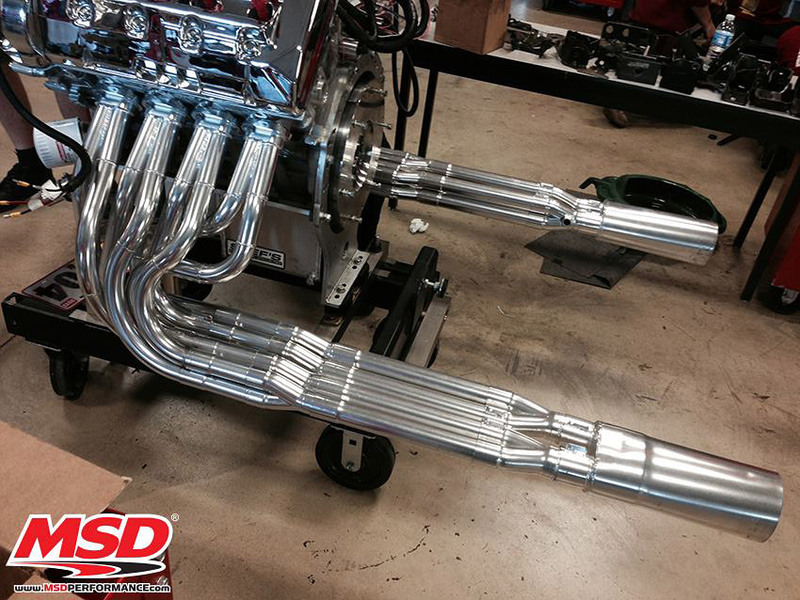 The Fords were followed by a pair of Chevy LS engines from the School of Automotive Machinists and a second entry from Bishoff's BES Racing. The SAM entry equaled the 775 HP of the Bishoff Ford entry and scored a higher torque value of 677 lb-ft, but fell short due to displacement factoring. 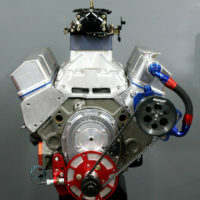 Ford fans will take pride in the 870 HP/815-lb-ft performance of the Freelander Race Engines/Oakley Motorsports vintage 572ci Ford FE even though displacement factoring kept it out of the finals running. 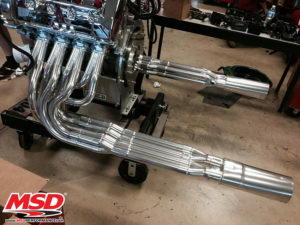 As usual the Amsoil Engine Masters Challenge delivered a broad selection of unique powerplants highlighting the depth of the high performance industry with an amazing array of performance parts. Thus usual mix of popular muscle car engines and newer performance engines served a veritable smorgasbord of exciting performance hardware applied in unique and thoughtful ways. There's plenty more to the story so check out the web site at http://www.popularhotrodding.com/enginemasters/ and don't fail to pick up a copy of Popular Hot Rodding for the in-depth report with full dyno charts and parts lists.